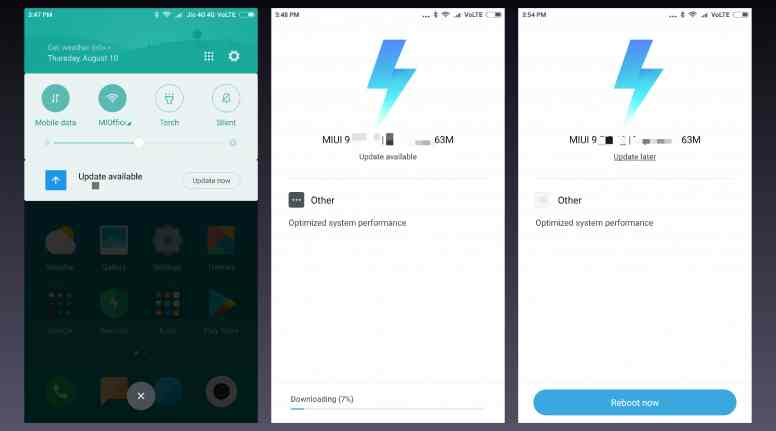 Recently the lightening fast MIUI 9 Global Beta ROM has been started rolling out. As we all know that MIUI 9 was started rolling out under two different versions that is Developer version and Stable version. So many of you thinking that what’s the difference between the Developer (Global) version and the Stable version. So, don’t get confused we are here to tell you about that and we also tell you that which version is suitable for which user. Now talking about the Developer version this version of MIUI 9 is updated regularly as well as bugs are fixed in every update and is more suitable for a daily usage and daily updates as well. 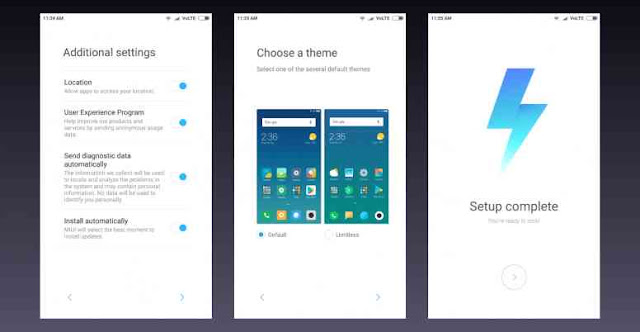 The Developer option allows you for daily updates and makes MIUI 9 more stable for the users. So this is all about the developer version. Now if we talk about Stable version so, Stable version didn’t receive regular updates means the updates are not frequent in this version of MIUI 9. However, it will get updates in a month or sometimes in two months. So, if you are common user than you guys can prefer Stable version of MIUI 9 ROM. Thus, our recommendations for the normal user is Stable version and if you want daily updates and you are not the normal users than Global version of MIUI 9 ROM is recommended to you. 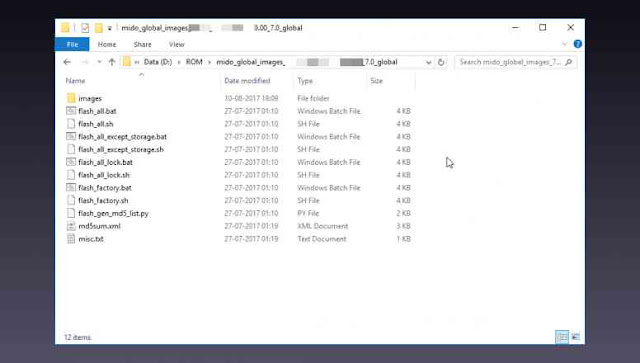 We all know that recently the new Global ROM has been started rolling out under the Global Beta ROM, and we all are excited to get the newest iteration on their device. So, just follow up this guide to Flash MIUI 9 on your Smartphones. So, before getting started you guys make sure that your battery is above 60%. I would recommend you to charge your device full. Second but not the least is you have to take backup of your APPS & Multimedia content. This will let you on the safe side. The third and most important step for all of you is you guys have to apply appropriate methods. Like if you are using Developer ROM, Follow “How to Flash Recovery Method” (Download package with .zip extensions) & if you are using Stable ROM than, Follow “How to Flash Fastboot Recovery” (Download .tgz extension packages). Like as I said that if you are using Global version of ROM than you will use this method. 1. This method is used or apply, when you will get the update waiting. Therefore, you will get the notification reading “New Update Available”. 3. Go to Tools Folder >> Open Updater APP >> Check for Updates. 4. If you want to Flash MIUI 9 than tap on the ‘Yes’ and then click download – Update. So, this method is applied, when you have the OTA package(Incremental or Full) downloaded via link beforehand. 1. You guys just have to Open Updater APP >> Three Dots >> Choose updated package. 2. Browse through the files and select the package ending with .zip extension. 3. Thus, after verifying the package and your permissions, it will ask you to reboot the device. 4. Finally, you have to Reboot the device and your device will boot up to MIUI 9. Download & Install Mi Flash Tool from the below link. –>>Install Mi PC Suite from below links. –>>Download the drivers from below links. Go to settings >> Additional Settings >> Backup & Reset. So, now Click on the ‘Local backup – Backup’, to create the backup and save ii or move it to your PC before flashing it. Always remember that it will only includes APP so multimedia files need to be backuped before flashing custom roms. So, before getting started you all must have to check out the bootloader unlocked, now switch off your smartphone, press and hold volume down and power button simultaneously, this will power up your device with the Fastboot screen. Now connect your Smartphone with PC by the help of USB cable. Now click on ‘refresh’ button in the Flash Tool APP and it will show your device ID. However, if it will not show than you guys have to Install Mi PC Suite as well as devices drivers. Thus, Extract the Fastboot ROM you downloaded, to a folder on PC. Open Mi Flash Tool, and select ‘clean all’ in the right down corner. Now, click ‘Select’ and browse to a folder where you have extracted the Fastboot ROM and click ‘Flash’. Hence, it will start flashing the smartphone and will take around 3-5 minutes depending on the PC and device. Finally the device will reboot with the MIUI 9. Don’t remove the device while Flashing is going on, it might take 3-5 minutes. 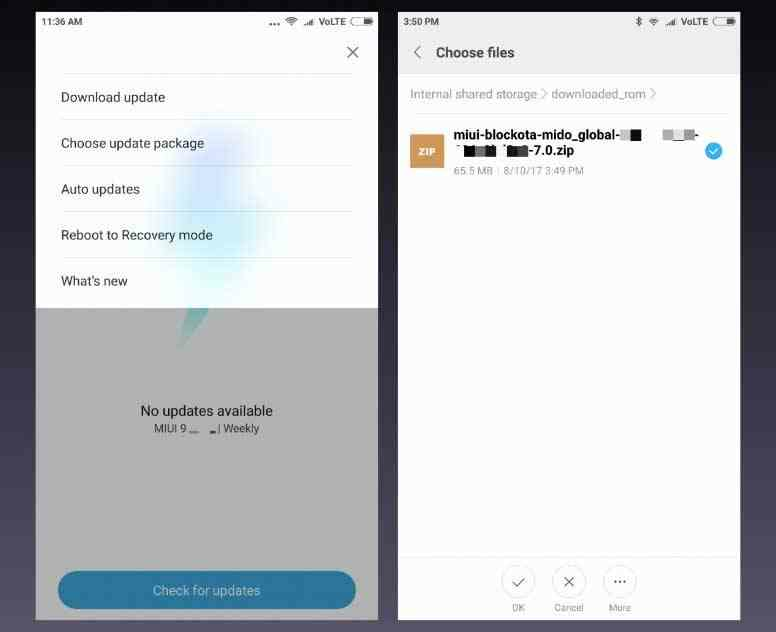 So, installing MIUI 9 Global Beta ROM on any device is very much easier. 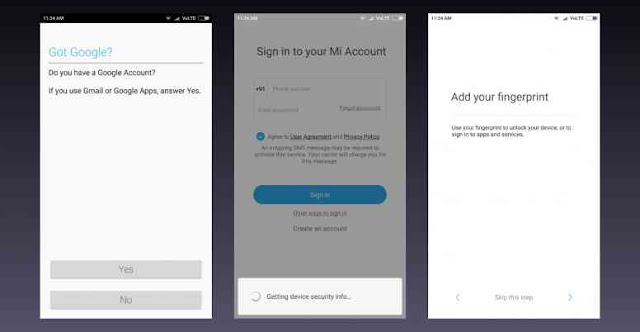 You just have to follow the instruction and guide carefully and MIUI 9 will Flash in your respective devices. Our team is continously looking into the devices performance. Also, we regularly check the updates for MIUI 9. Our team also continously checking which version of MIUI 9 is more stable and we have also fix some of the major bugs in MIUI 9. Share this post as much as you can. 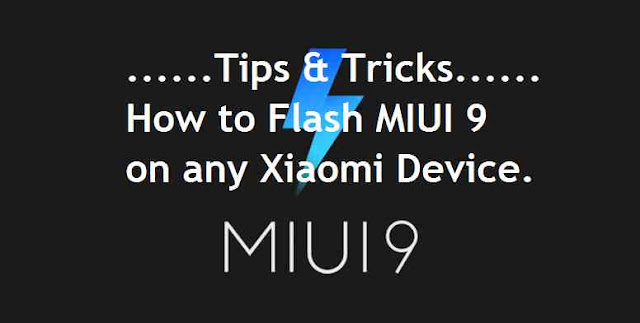 Also, tell us how it is and if we have forget to add any method or you guys think that there are more methods to Flash MIUI 9 on any device do let us know. Comment in the comment box for any assistance.